Discover the elegance and comfort of high-end apartment living, when you book your tour of an Aberdeen Place rental suite. Don't miss your chance to come home to modern features like stainless steel appliances, contemporary composite floors, a private balcony and much more. Let your mind rest easy knowing you're protected by a secure entrance and onsite building manager available to help you with any concerns about your suite or the property. 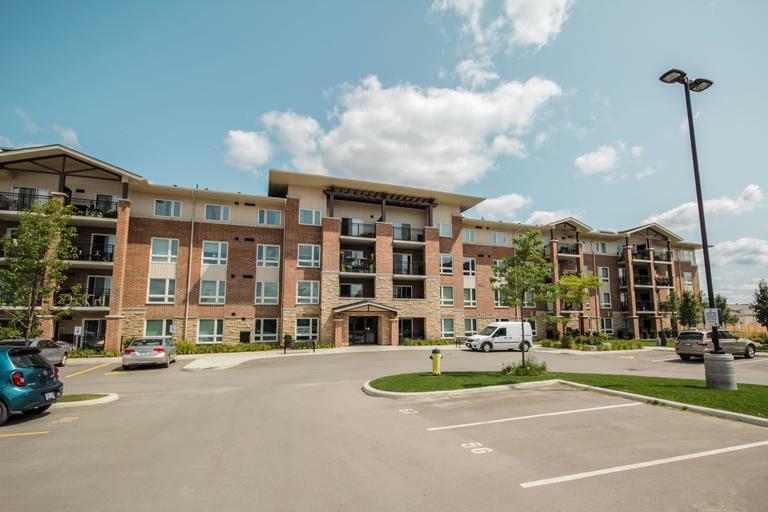 When you're ready to explore, you'll find Aberdeen Place is perfectly located to take advantage of all the small-town charm and big-city convenience Fergus, Ontario has to offer. Just a walk or short drive to all the amenities you need, from grocery and retail stores to restaurants and cafes, you'll have no trouble feeling right at home in this vibrant, historic community. Walking distance to desirable amenities like Zehrs, McDonald's, Tim Hortons, Canadian Tire, Dairy Queen, First Choice, Shopper's Drug Mart, Boston Pizza, Subway, Gas Station & Meat/Grocery store. If you're looking for modern convenience that suits your busy lifestyle, we know Aberdeen Place is the right place for you. Suites will go fast, so don't wait – let us help you take the first step toward your new home. "We enjoy living in this apartment, we enjoy the Building Managers that look after the building, keep the hallways immaculate. We couldn't have better people looking after the building. They are just excellent, they are so pleasant."